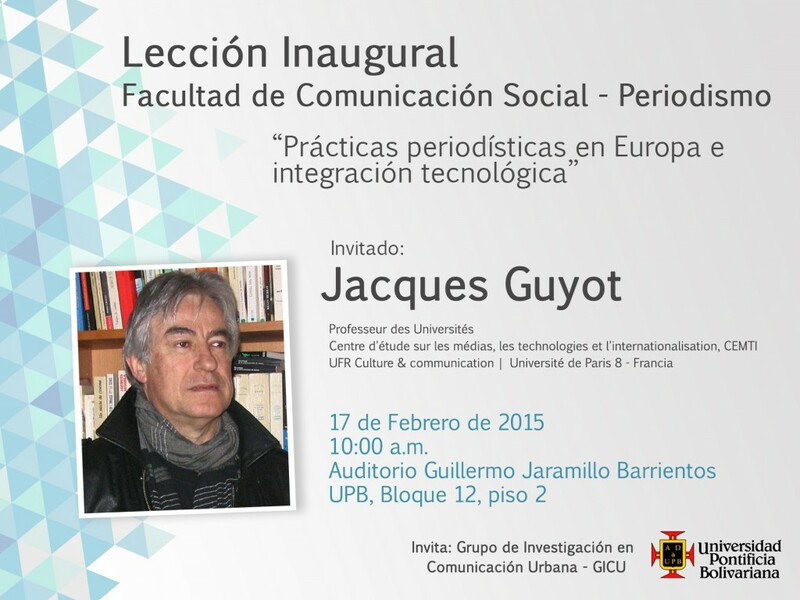 On February 17th, Jacques Guyot (Université de Paris 8 – Vincennes) delivered the talk ‘Journalistic practices in Europe and technological integration’ at Universidad Pontifícia Bolivariana (Medellín, Colombia). In this session, organized by the Grupo de Investigación en Comunicación Urbana, Guyot presented the results of the IJIE project. The researcher delved into the key trends and outcomes of the comparative report produced within the IJIE research.